Now this was nice. An free lunchtime gig from the School of Music at the ANU's new Pop-Up refectory (very hip but also very temporary and very cheap although with an imposing PA). The band was Gypsy Project, playing the music of Django and the Hot Club of France and, I guess, some related idioms. The website talks of Romany folk and Russian waltzes - perhaps at weddings. On the day, it was Django tunes and a few jazz tunes in the style: Night & day and Honeysuckle rose and Thomas the Tank Engine (identified in competition by a woman, presumably a recent mother) along with Djangology, Swing 1939 and 1948 and Minor blues and the like. All those two feels and chopped guitar chords and France-sleeze melodies and those quick runs. I liked it, tapped along with it. Several others did although many were just there between lectures or to eat. But a great pleasure, lively, jumpy. Some very nice solos all round, quite differently styled from the two guitars; the bass that switches between 2 and 4 and Anthony's great, mobile melodic lines that stretch regularly up the neck; the violin, electric, fat and prominent. All much fun and rollicking. They get out for gigs, but I reckon their weddings must be a blast: their music would suit all that positivity and loveyness. Ah, dreaming of France. Catch them with someone special and dance. 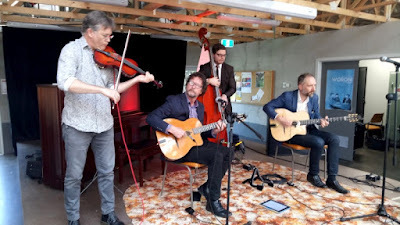 The Gypsy Jazz Project played at the ANU Pop-Up Refec. They are Sverre Molland and Bruce Rose (guitars), Ben Phillips (violin) and Anthony Irving (bass). I guess we are being introduced to the new staff. 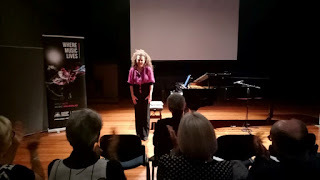 The other day was Stalin's piano by pianist Sonya Lifschitz. 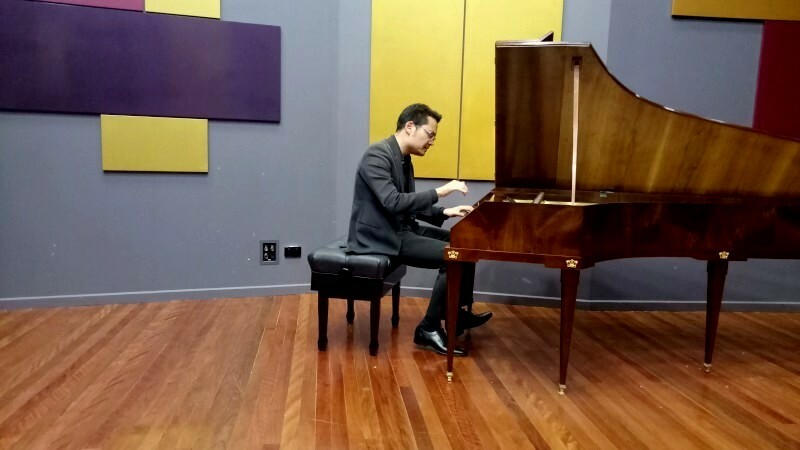 Monday was three Mozart piano sonatas on period instrument by Mike Cheng-Yu Lee. It was stunning. All played from memory. 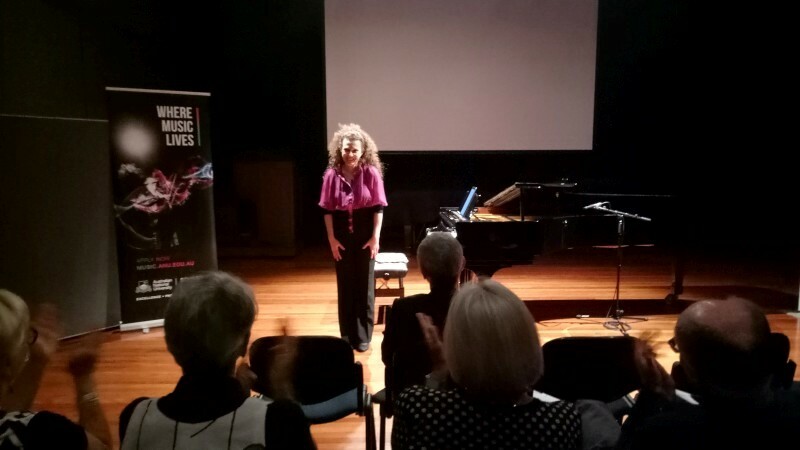 Introduced with a chatty talk that skirted around issues of the piano relevant to an era, of Mozart's style and approach and even his toying with tunings. This is pre-equal temperament, so some keys are sweeter than others: Mozart used this in his writing, moving out into dissonance and resolving to sweet keys. Somewhat like jazz players with dissonance, but ours is not just dirt but rocks. The sonatas on this night were Cmaj K.330, Bbmaj K.281 and Cmin K.457. I think it was the last that was the play with dissonance. Mike took one as a foundation for variation and improvisation, in response to Mozart's improvisatory approach. Very impressive. The piano was Paul McNulty after Anton Walter (Vienna ca.1796). Mike obviously works the period pianos: it was interesting to hear a recognition of Geoffrey Lancaster's collecting. 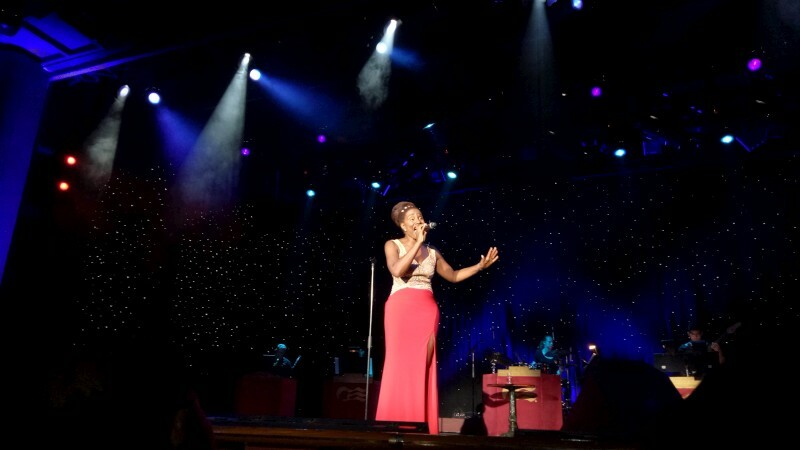 So, a fabulously intimate concert with both delicacy and immense charm. Mike will be playing all the Mozart sonatas over coming concerts. Mike Cheng-Yu Lee (piano) performed three Mozart sonatas in the Larry Sitsky Room at ANU. 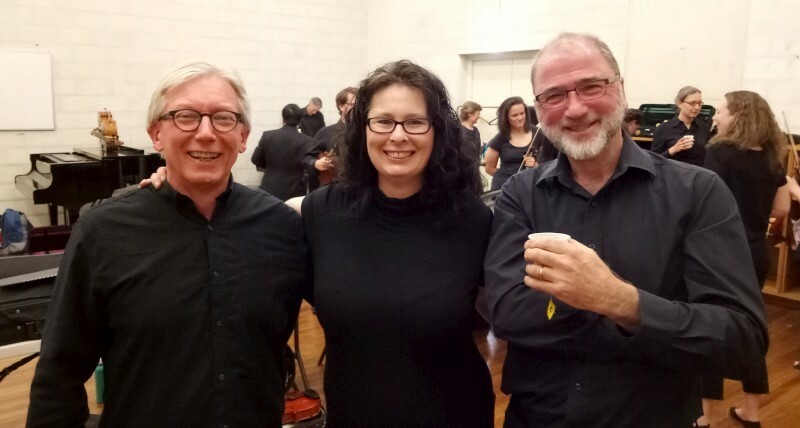 It was another successful outing for National Capital Orchestra. The program was called Brahms Double. 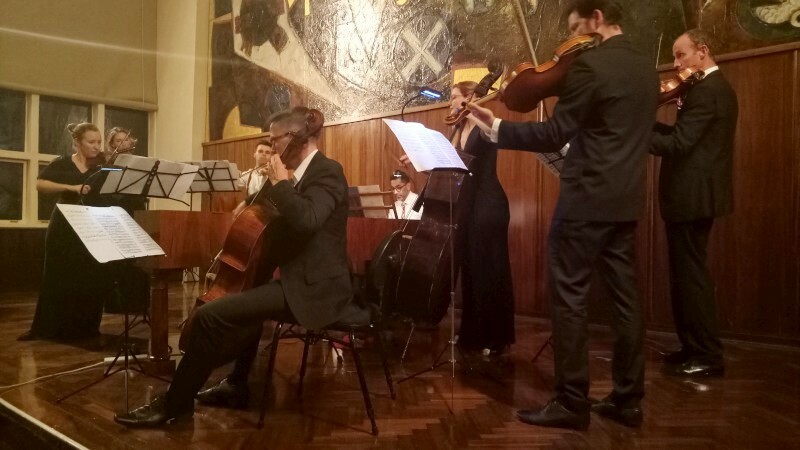 The music was Brahms Double concerto, ie, Amin op.102 for cello and violin, local composer, Natlie Williams Chambers of the South and Respighi Belkis Queen of Sheba. The Williams was an airy, floating, pensive thing, a challenge to read and track even if the notes were easy enough. The counting is so often the challenge, especially in the rests. 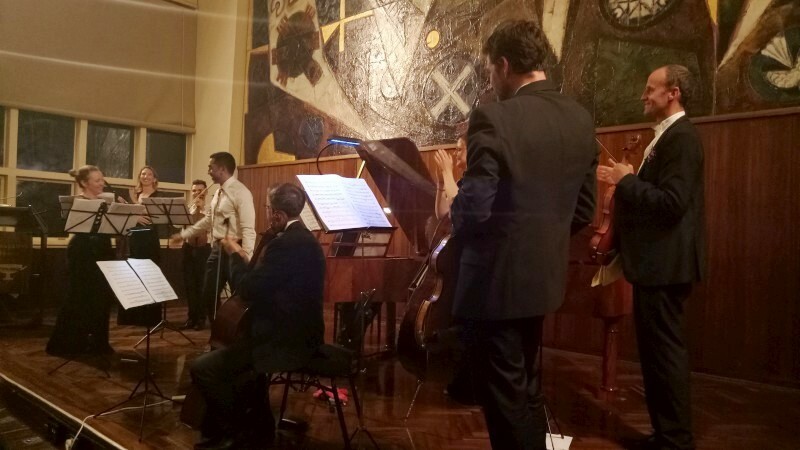 The Respighi was a clear story-telling outing, a yarn. All militarism or dreamy. It was written for a ballet but as a music performance it seems to always be played movement 1-3-2-4. Strange. The blue line leading across mvt 3 on the score looked like a kid had played with it, but it was on all the scores I saw. Again, there was counting, but also some difficult lines, not least demisemiquavers mixed semiquaver triplets and crochets and quavers. 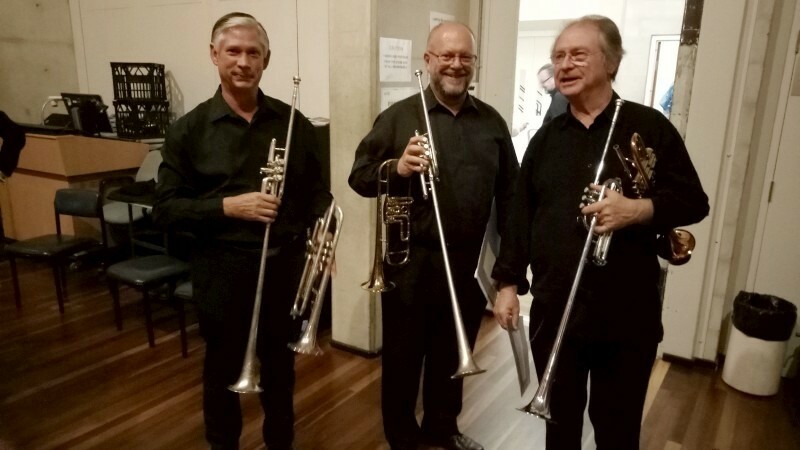 And the big fanfares featuring four long trumpets, with valves, but straightened, somewhere around a metre long: Fanfare or Herald trumpets? 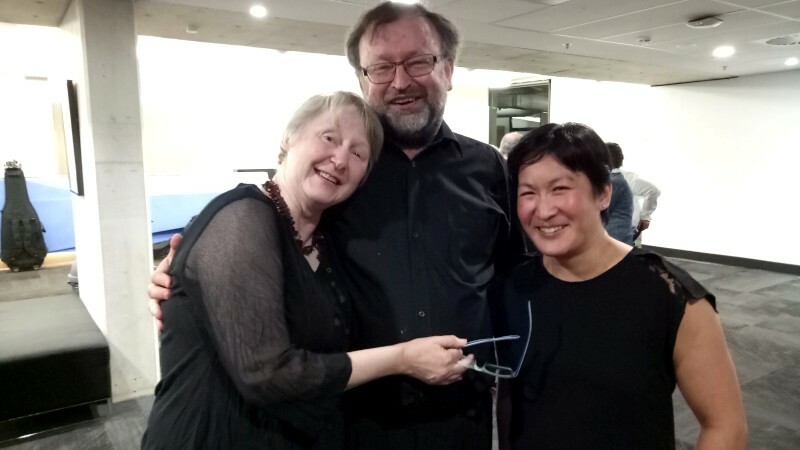 Then the feature, Brahms Double concerto, with husband and wife team, Julian Smiles, ex-Canberra SOM, and Dimity Hall, both ex-ACO and long-term Goldner String Quartet. It's a pleasure and an honour to play with such performers. 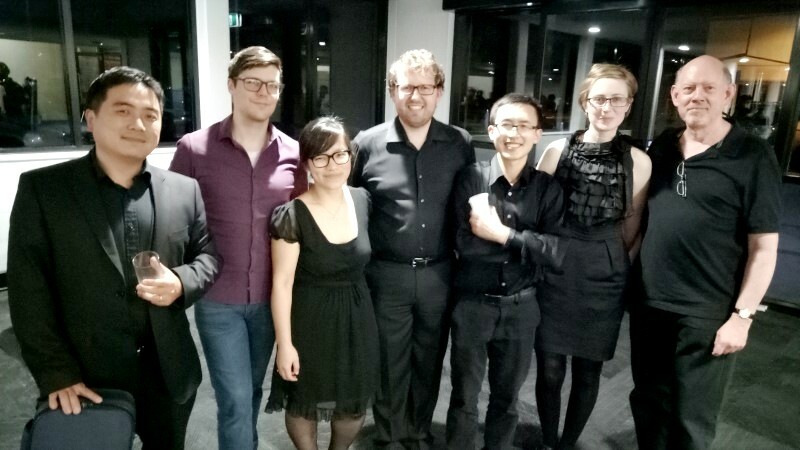 All under Canberra's excellent, young conductor, Leonard Weiss. 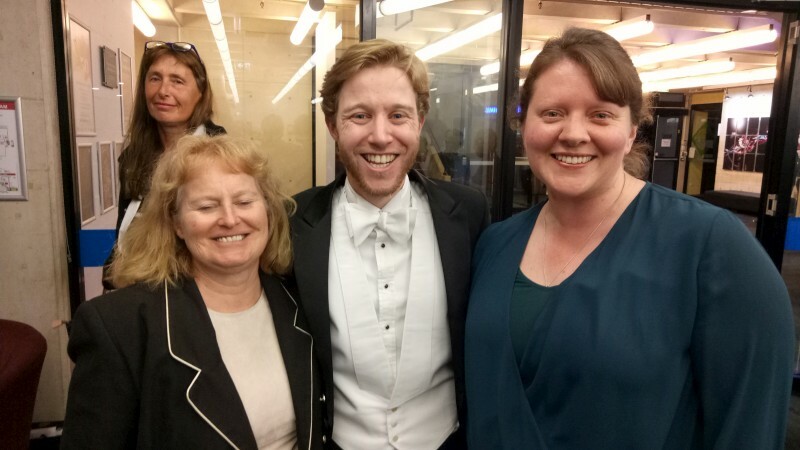 An excellent presentation by the orchestra and especially so by the soloists, and much glee all around at the party afterwards. National Capital Orchestra played Brahms, Respighi and Williams in Llewellyn Hall under Leonard Weiss (conductor). 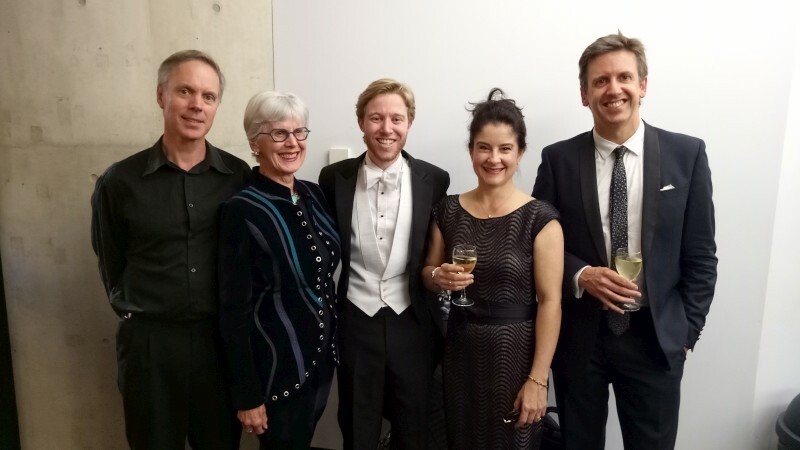 The Brahms double concerto soloists were Dimity Hall (violin) and Julian Smiles (cello). 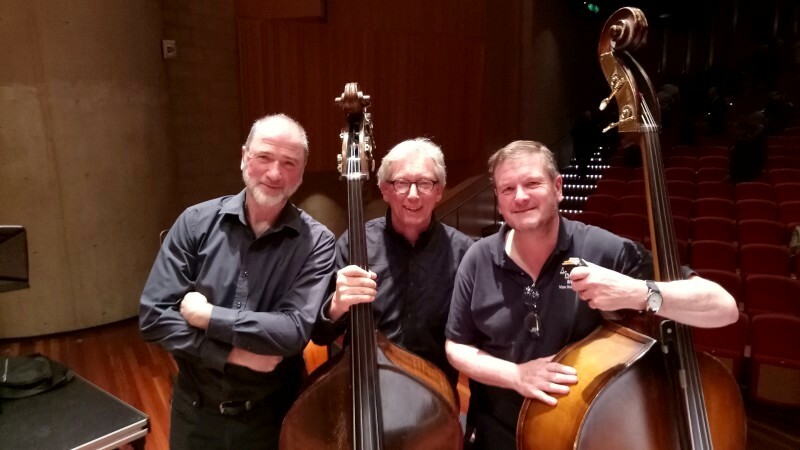 For my fellow bass followers, the bass section was Roger Grime (principal), Geoff Prime and Eric Pozza. I admire and enjoy and am educated by Robert Davidson and his music of politics and art and public matters. 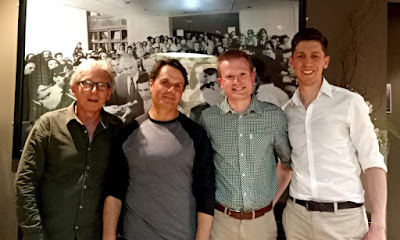 I saw the Singing Politician performed at the last CIMF by Robert with his band Topology and a choir and it was thrilling, touching on so many important points in Australian life through political speeches. 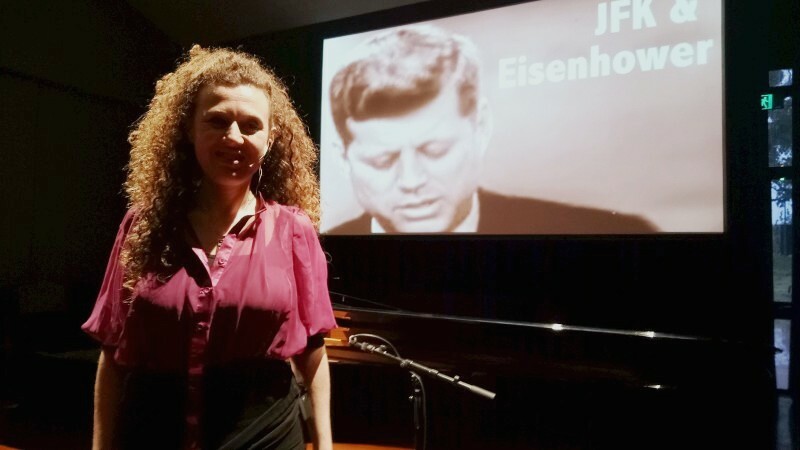 Being a political junkie helps, and this was true to form and attractive to me in attitude, and the music was thrilling and wonderfully interpreted and performed against the memorable words. I just saw Stalin's piano with piano (and one spoken segment) by Sonya Lifschitz accompanying a projected video. 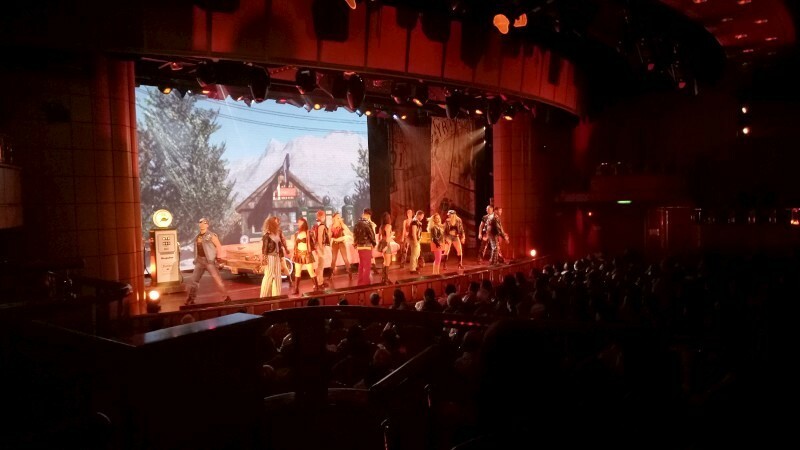 This is multimedia and visual at that, so the musical component was largely lost to me, from following the snippets and their differing stories and doubly so from reading the subtitles. That's to be expected: visuals are so much more intrusive and powerful than sound. It always wins; think TV vs radio. But I remain perplexed about the theme. The work is made up a string of snippets, covering WW2 politics through to today, but introduced by a few architects, touching on music and composers and performers, Communism and Nazism and the bomb, past a few poets reading poems to finish with feminism and dance. Mmm, I am perplexed. Someone suggested there's no theme, or that it was about how politics and art mixing in culture. Too broad for my satisfaction. It ends with identity (today's obsession) but how did it get there, from Le Corbuisier via Hitler. The snippets visited are: Brecht at teh House of Un-American Activities Committee; Le Corbusier and sun, space & light which got a beating; Frank Lloyd Wright and suburbia as grace not disgrace; JFK and Eisenhower and the Cuban Missile Crisis (with some unexpected and even amusing loops); EE Cummings and a poem; Percy Grainger and music as the art of agony; Shostakovich and Stalin and pianist Maria Yudina; David Malouf and another poem; Goebbels with subtitles and truly fascinating film I'd never seen; Thomas Mann on Nazism; Ai Wei Wei on Mao; Arthur Boyd on writing as precise but painting as not (again, words vs visuals); Jackson Pollock on the evolution of painting; Whitlam on Blue Poles "$1.3m for dribs and drabs" (he who had the last laugh); Donald Trump on women; Julia Gillard's Misogyny speech; finally Robert Helpman. So what to take from that? I'll mull further, but you've got to hand it to RD with his broad vision and social concerns. Getting it all to sit together, or to tell a clear story is a challenge. Otherwise, there's lots of grainy video and odd cuts and distorted voices, all perfected appropriate to era or effect, like the hand held books for poetry readings. It's history but also art. But what of the performance? I listened occasionally and it was good, powerful, fitting. I certainly look forward to listening more closely to a future concert by Sonya, but this time the video and ideas took precedence and also stole attention. 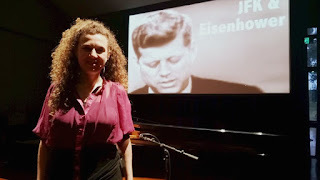 Sonya Lifschitz (piano) performed Stalin's piano by Robert Davidson (composer) at the Sitsky Room at ANUSM. The concert was entitled Vivacious. It certainly must have been active for a day or two before as one performer was sick and the program and even the handout had to be redone. Katherine was introducing Faure Sicilienne saying she's expect to play it better than when she learn it as a kid. No doubt she did (her performance sounded nothing like the work of an early player) but I guess that meant it was a late insertion. None the less, they did great. 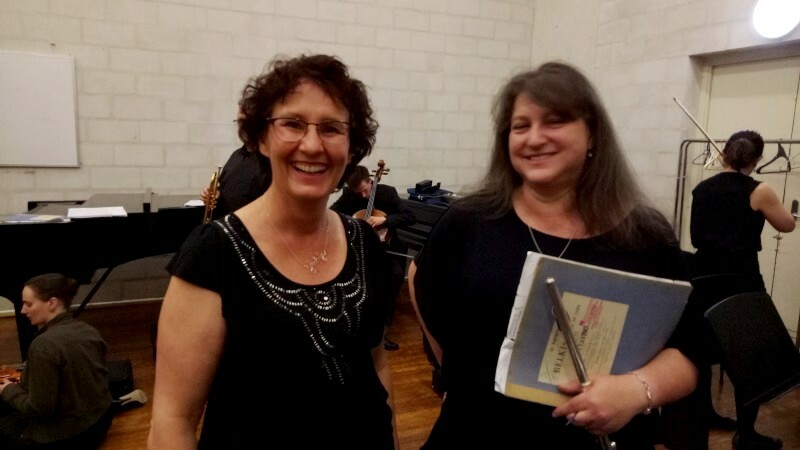 The soloists were Fiona Dickson on flute and Katherine Wilkinson on cello, with Anthony Smith piano accompaniment. 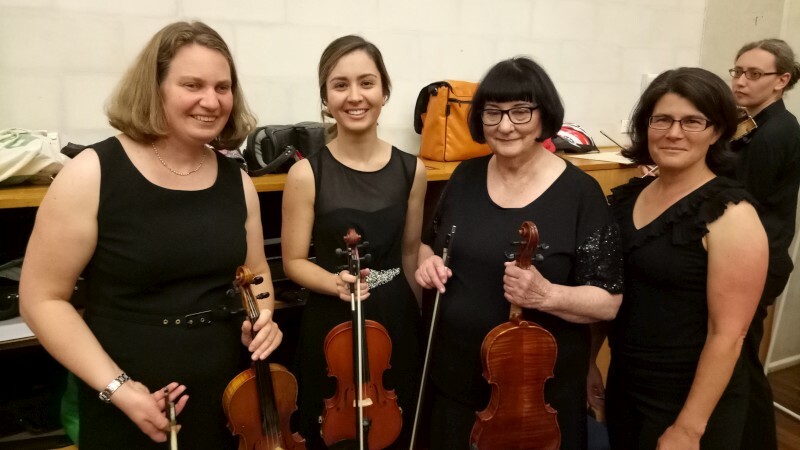 Katherine played Pergolesi, Faure and Beethoven sonata no.3 Amaj for cello and piano. Fiona played Debussy and Bartok. A varied program in time although with several songs of historical or geographical interest. Anthony is a master and always on form. Fiona and Katherine were each excellent in commitment, interpretation, dynamics. I think the Beethoven was my favourite, although the Debussy was airy and playful, even if some related to tombs or rattlesnake dancers. The invocation of Pan at the start must have carried over to the rest. It's a great pleasure to have Wesley and lunchtime concert like this on the doorstep and this was a notable example. 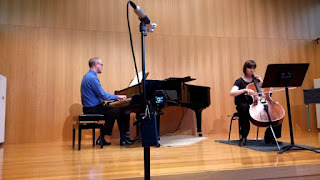 Fiona Dickson (flute), Katherine Wilkinson (cello) performed duets with Anthony Smith (piano) at Wesley Music Centre. Finally back to playing after a few weeks off and first gig up was National Press Club Friday evening jazz session. It's an august institution where the cream of local jazzers have played over the years so a great privilege to perform there. We accompanied Josh Knoop, a guitarist with a love of Pat Metheny, softly toned, lithe and malleable. Old friend Lauren Black, once of ArtSound and In Full Swing Big Band, was in the house and we inveigled her into a few jazz numbers. No pic of Lauren this time, but one of the band in front of the monumental and monumentally large photo of Whitlam at the Dismissal, scowling over the shoulder of David Smith on the steps of (now Old) Parliament House. Then another outing the next day for a private function, a significant birthday party (Happy birthday, Alex) so a busy weekend for Tilt. Coming up next weekend, a mix of orchestral and jazz. 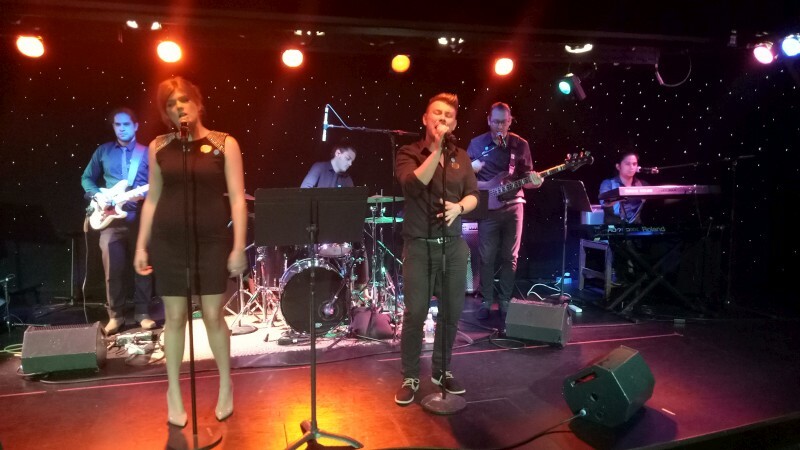 Tilt played the National Press Club with Josh Knoop (guitar) and Lauren Black (vocals) sat in. Tilt are James Woodman (piano), Eric Pozza (bass) and Dave McDade (drums). 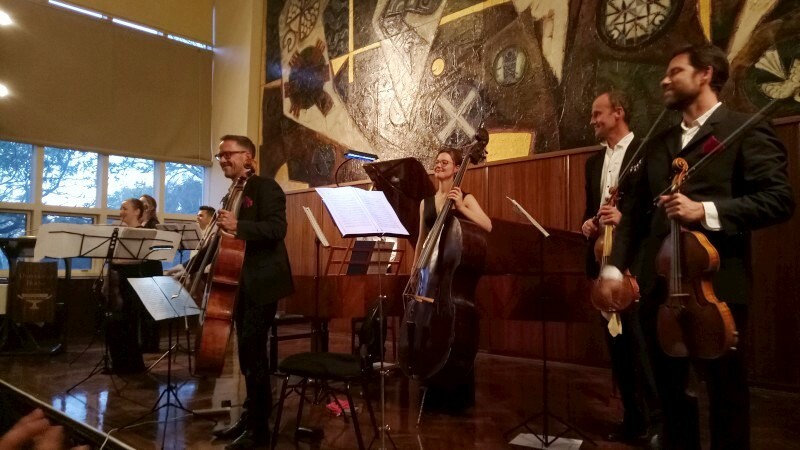 I was back in Canberra and so was the Australian Haydn Ensemble. This concert also continues their work with Neal Peres Da Costa. Together, they are recording the Beethoven's piano concerti, but in a new way and often with new arrangements. Apparently, Skye and the group were intrigued and enamoured by the arrangements of Cimador. They are obscure (the diminutive entry on Cimador in Wikipedia is just proof) but the arrangements are intriguing, true to period and suit AHE, so, with the help of Australian arranger, Mark Vi Kim Ling, they are performing and recording Beethoven piano concerti in this style. The results are intriguing and attractive. On the night, AHE played Beethoven Concerto no.5 Ebmaj 'Emperor'. I played this with NCO earlier a few months back, so I know it reasonably well. Even with similar orchestration, it's fascinating how a piece changes, how new ideas appears and prominences change. Here it was so much greater, like a new vision of the work. The arrangement has parts taken by different instruments, and apparently this is annotated, so a viola line maybe be identified as from oboe or clarinet or whatever. Cimador's forces were two violins, two violas, cello, bass, flute and keyboard. 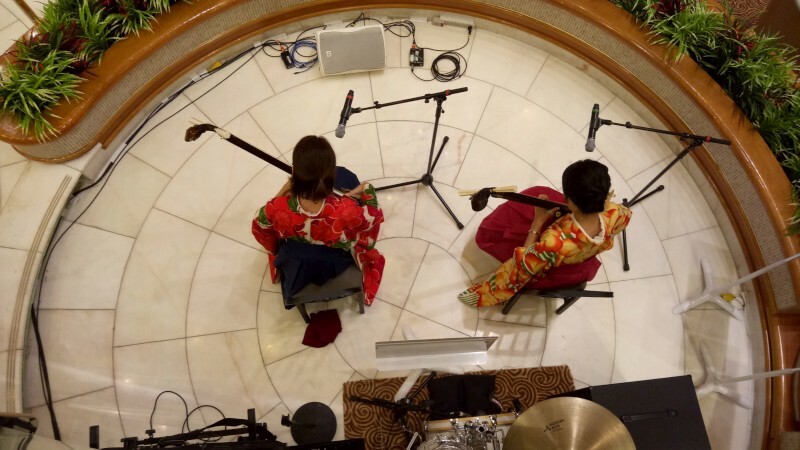 The cello and bass seemed to just take the known lines, presumably also the two violins for the two violin sections, and, I thought, the piano, but the two violas and flute presumably took on any number of lines from woodwinds or brass or whatever. So it was a fascinatingly different but similar piece. So what else did I note? The whole was sweeter and more open than an orchestra. AHE do great dynamics, but still gut and pianoforte doesn't manage the extremes of modern instruments. The tonal colours of lines changed with the different instruments playing them. The violins and flute were a bit quiet, but maybe that's from where I was sitting. There were also odd tones from odd combinations, eg, flute and cello. These are great musicians and I enjoyed the playing immensely. 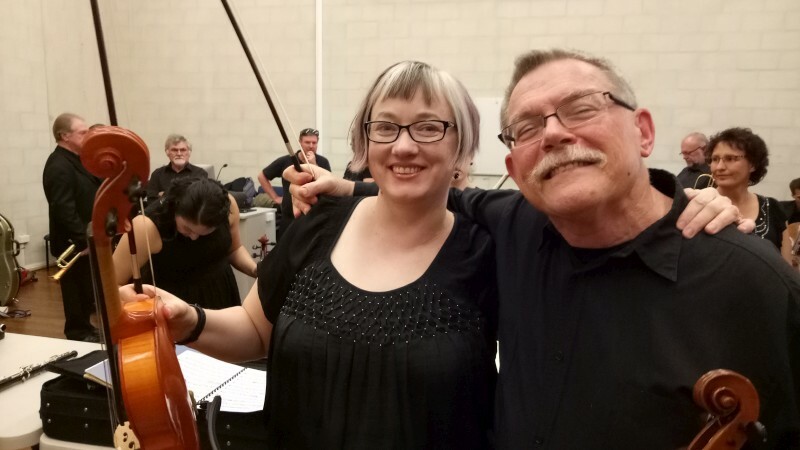 The bass and cello are a firm and committed block and often prominent - Jacqueline's pizz was particularly effusive - and their application was a pleasure. This group always enjoys itself with smiles all round, but I've noted that before. Some interpretation was unexpected, like the slow take on the early part of the third movement. That surprised me but it was effective. And those lithe runs from the strings and complex plays between hands by the piano. All a huge pleasure and intriguing. Otherwise, they played Mozart Symph no39 Prague and Overture to Magic Flute. More staid than the challenging Beethoven but with their own challenges, not least with some devastating lines. So a great pleasure for my return. There was more on the Diamond Princess and there was more that I missed. The ship was based in Yokohama, close to Tokyo. In passing, the Ocean Terminal was a fascinating construction of flowing timber floors and green lawned roof and surprisingly effective at processing cruise liners. This is big business. But that's out of CJ's purview. 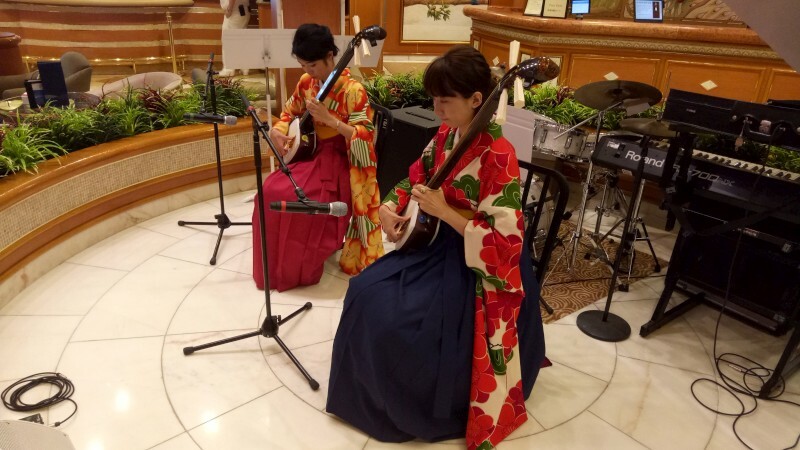 There were several Japanese folk acts, pairs of shamizen players, that Japanese three-stringed banjo-like instrument played with a hand-sized pick. Two women at one port; two men at another. There was a Esashi Oiwake was a Japanese folkloric show out of Hokodate. I missed the original but caught it on cabin-TV after the event. Very staid, settled, perhaps ominous to our ears. 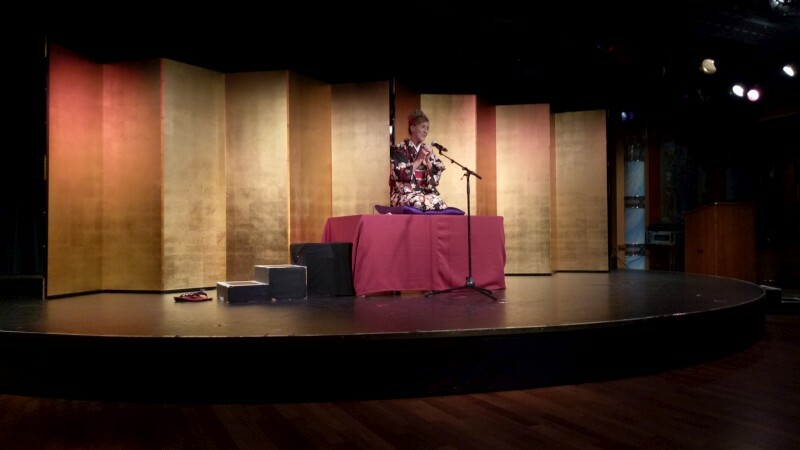 Diane Kichijitsu presented a traditional Japanese storytime routine that she amusingly called "sit-down comedy" as Japanese comedians seem to sit and mime activities. The joke was largely based a purported readiness to ask one's age. She was nineteen, it seems. A polished performance and worthy of a decent laugh. 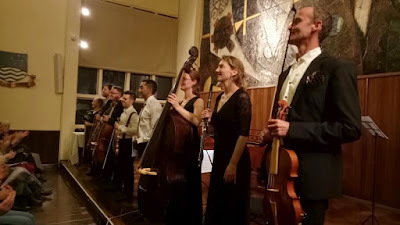 There was guitar/vocalist Jelord Pentacase and a few other that I missed, not least classically-trained violinist Katei and magician Daniel Ka. 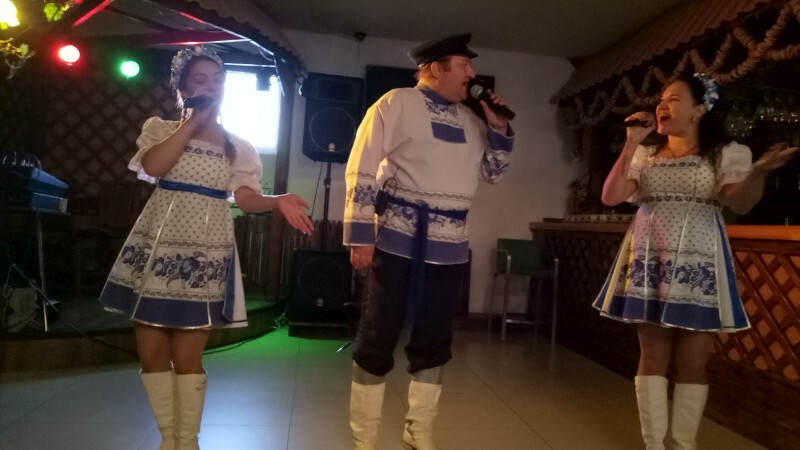 But the stars of my trip, perhaps, were the trio in the Hutorok restaurant/bar in the Russian town of Korsakov. This was a tour. I tend not to take tours (they are expensive and you are herded in buses like cattle) but you couldn't get off the ship independently, so a tour it was. This one drove an hour to see a square and a church and an ice-hockey stadium, but culminated in a meal of Russian goodies - blinies, pirozhki, rassolnik and the like. And vodka. 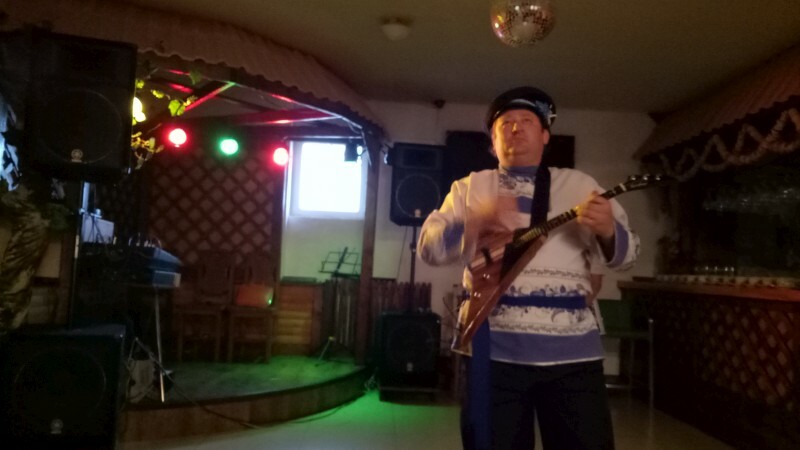 Everyone in traditional dress, of course (nothing like the streetscape) and the entertainment as the star attraction: Russian songs, step dances, solo balalaika playing Hotel California and Bananarama and quoting Smoke on the water. Memorable and musical and amusing. The trio was Yura Vatutin (balalaika, vocals), Olgar Kyznetsova and Anastasia Veselkina (vocals). Much fun. Then a few last memories. 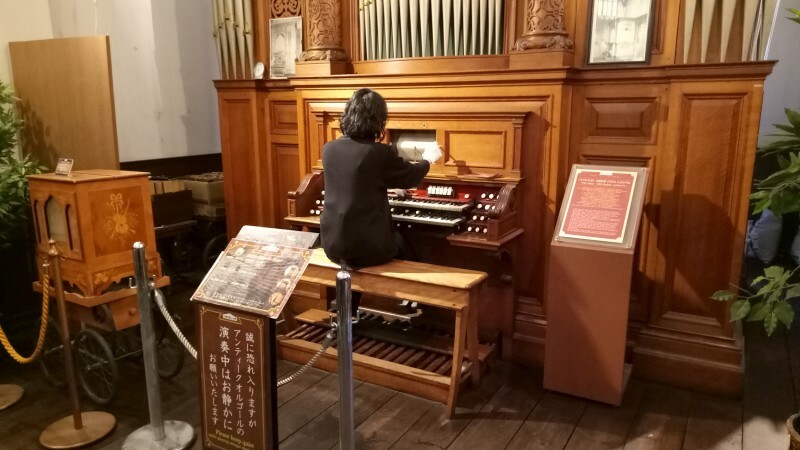 One was a museum of music boxes in Otaru, the Otaru Orgel Museum. 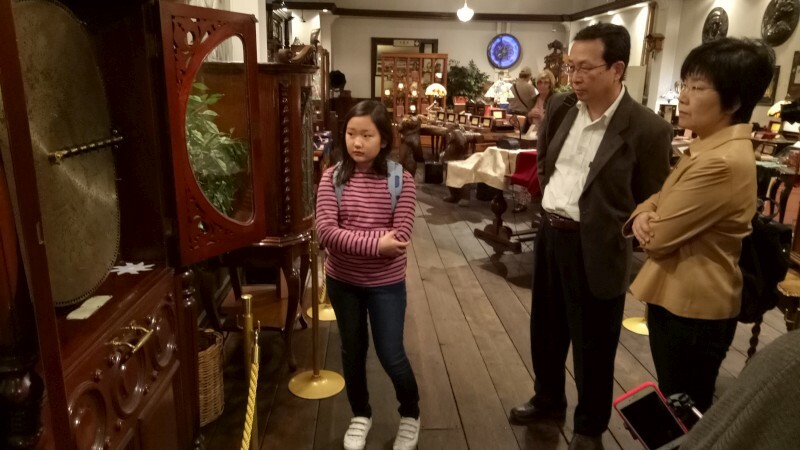 Thousands of music boxes of all sizes and types and designs for sale, but also a room housing a fascinating collection of music playback machines, not least an pipe organ played with a pianola role and a pianola-like machine playing large removable metal disks. And the finale, the Pop choir. It's my second on a ship. It's a just a few pop songs, sung unison unless you can find a harmony. 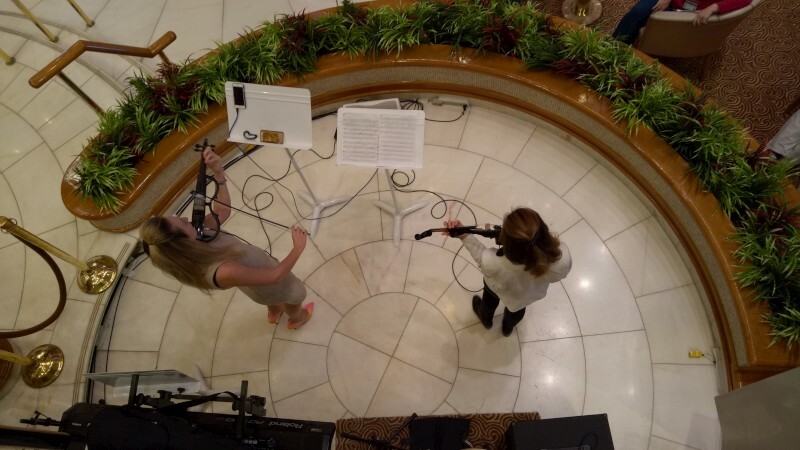 This one performed in the atrium with a too-loud a sound track but it was fun and it fills the time and saves me from just a few more beers. I've already mentioned the Diamond Princess Orchestra. They are the reading professionals that back the shows and the various entertainers who come on board for a day or two. They read; they are trained profs in that mould and they impress me mightily. I like this style. 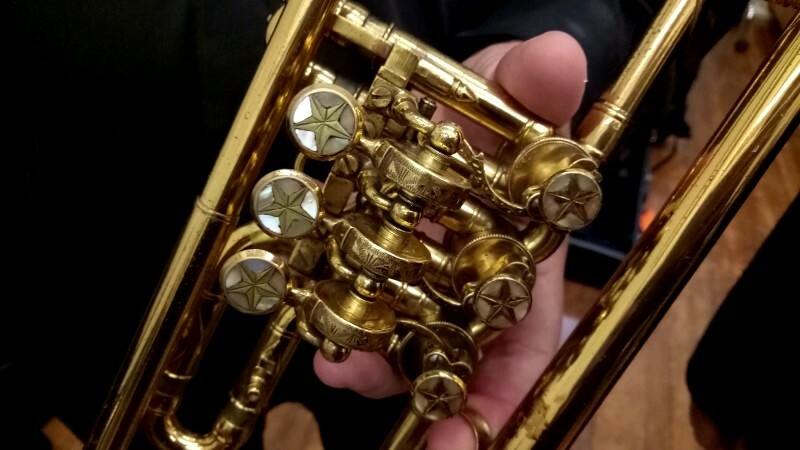 Get in for a few hours of rehearsal then do a complex gig once or twice after dinner and carry it off with panache and clarity. 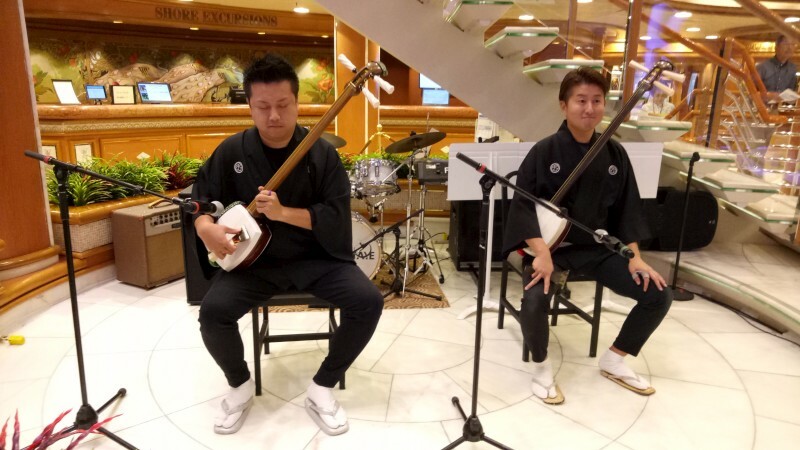 The DPO backed several shows of this style on the ship. 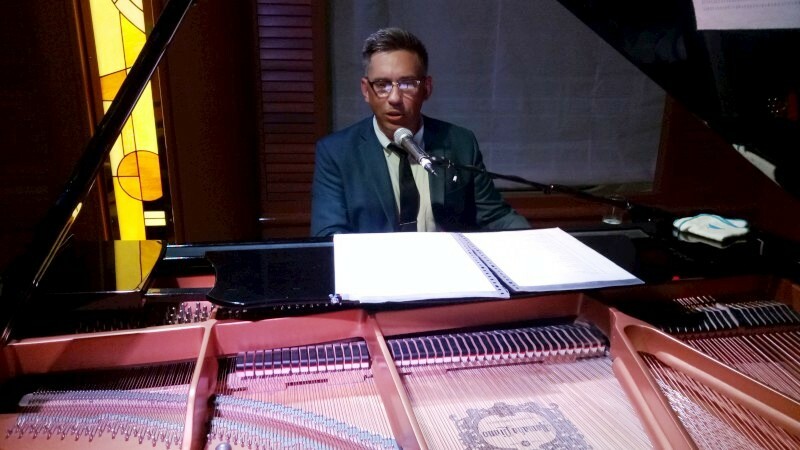 One was New Orleans pianist/singer Chris May who got in front of a band to play a hometown New Orleans show, all rollicking rhythms and backbeats and syncopations and second liners. The DPO were reading too hard to be a standard first line band, but the groove and intent was there. The DPO did another gig in the Explorers Lounge backing opera soprano Lena McKenzie. I learnt much from this gig. Again a capable band and a competent singer, but the voice was cutting, unbalanced, uneven. This is obviously capable singer, so why? Because of the mic? Sort of. I heard Lena again in a show a day or so later, in the theatre, served by programmed, digital sound and it was great. So ... the value of good sound production. The difference was truly chalk and cheese. Avis Ellis was in the Theatre for her show. I assume her sound would have been quickly setup in rehearsal that afternoon. She sang Motown and the like with lots of energy and Southern Baptist Missionary voice so great. Interestingly, I notice her first recording was two songs a later Norman Connors album when he took on smooth jazz. (I count one of his early recordings, Love from the Sun, as one of my most played albums). And then the dance band, all hot and sweaty and rocky and funky, and they were really a great covers band. The Drop. Strange name but these were burners with a massive repertoire spanning the years. Two singers up front, a funky rhythm section with slap and the rest. I met bassist Sean Taylor. 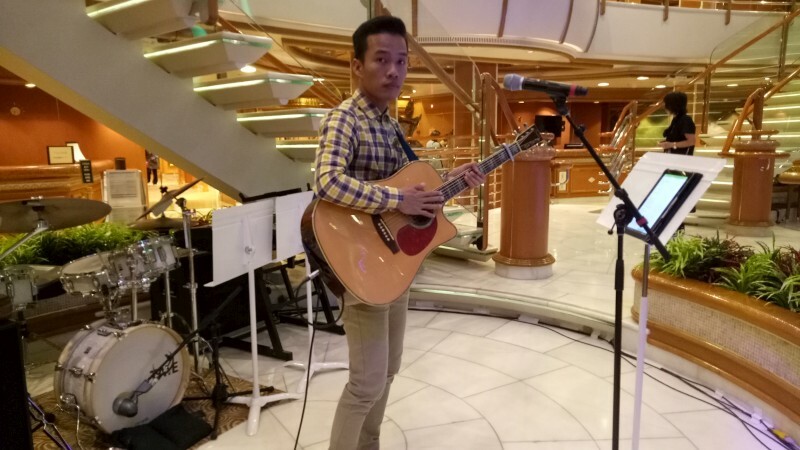 He'd been on ships for a few years, the band morphs every so often with members coming and going (the guitar and female vocals were relatively new) and he'd had years of touring England before. Suffice to say, this was a tight, skilled, entertaining mob. 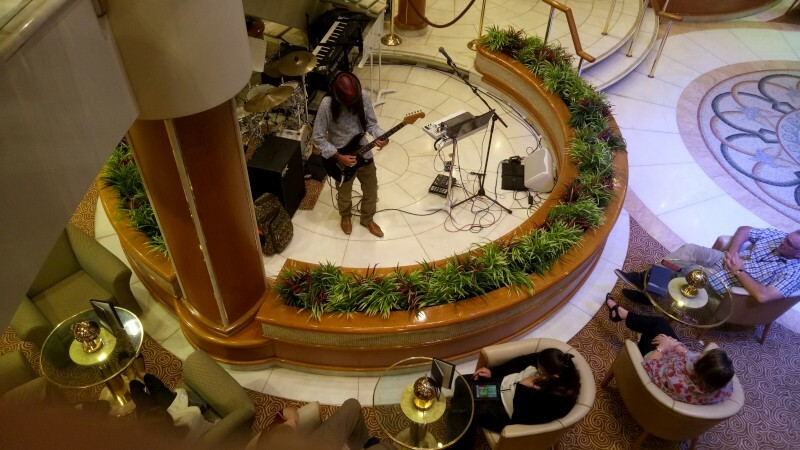 Bars are a centre of life on a cruise ship. People sit at bars; they talk at bars; they listen at bars and read there. There's like on deck too, especially when it's warm, and the bar scene expands there then, but this wasn't particularly warm and most were inside. Our bar was by the Lobby, central, with the best coffee and perhaps the most passing traffic. 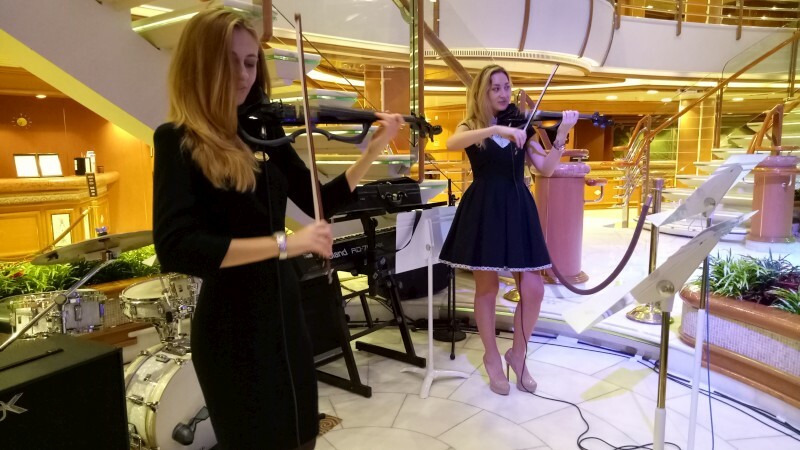 A string of performers appeared in the Lobby, on one little stage or on its twin with a grand piano. The Angelic String duo were a favourite of mine. 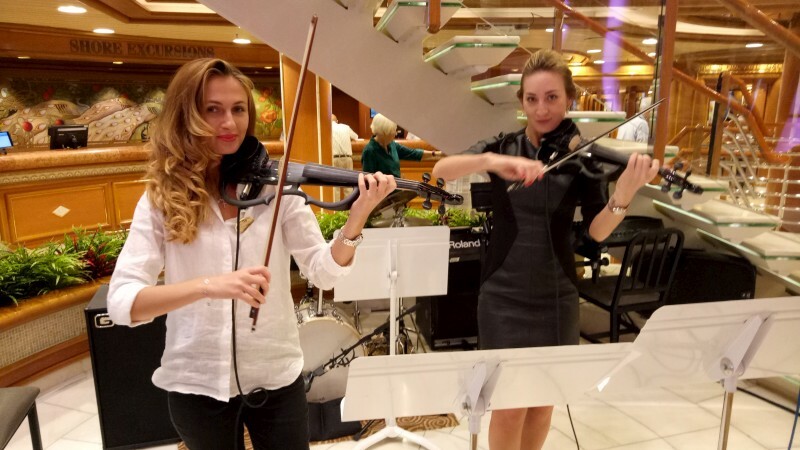 Two Eastern Europeans (it seems all the classical players on ships are Eastern European), Kateryna Radchencko and Syrofenko Luibov, both playing electric violins. 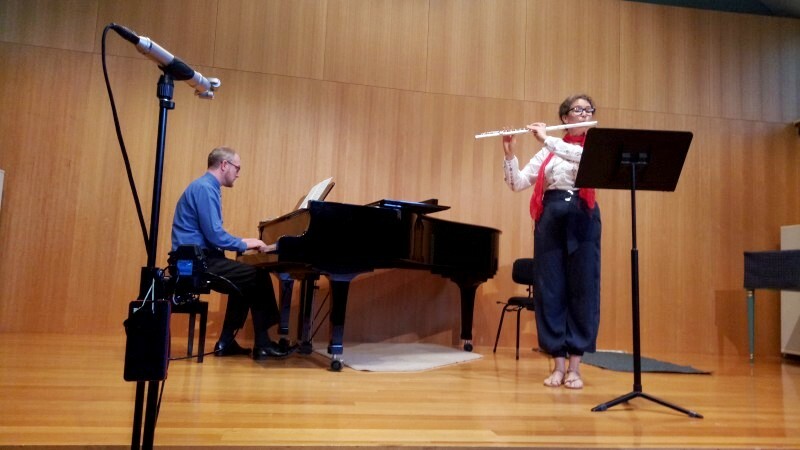 Like my NS EUB, the instruments were talked about. They played pop and pop classics with backing tracks and they played with skill. They share the melody line, improvise the counterpoint. Very neat and very capable. 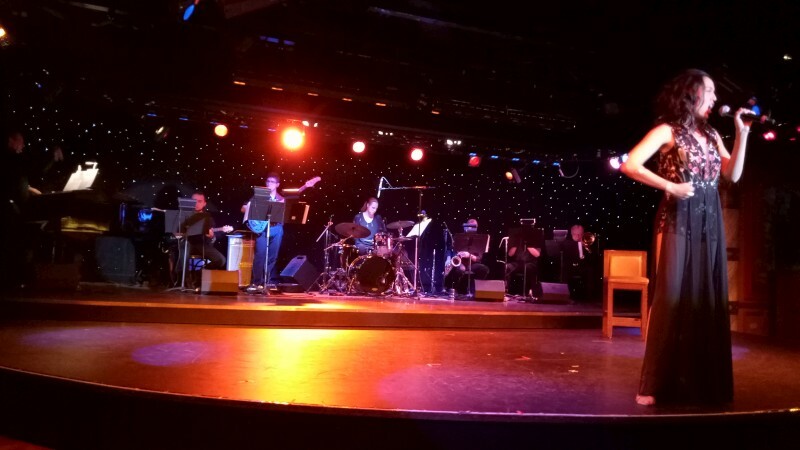 They also appeared with the DP Orchestra for some stage shows. 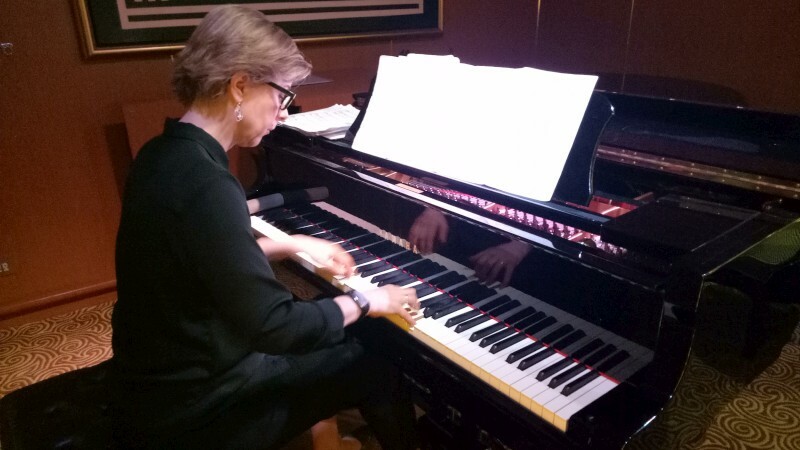 Polish pianist Jowita Tabasczewska played popular melodies with easy classically-influenced chordal improvisations at the Lobby Bar but mostly at the Crooners Bar. It's the main spot for piano/vocalists. 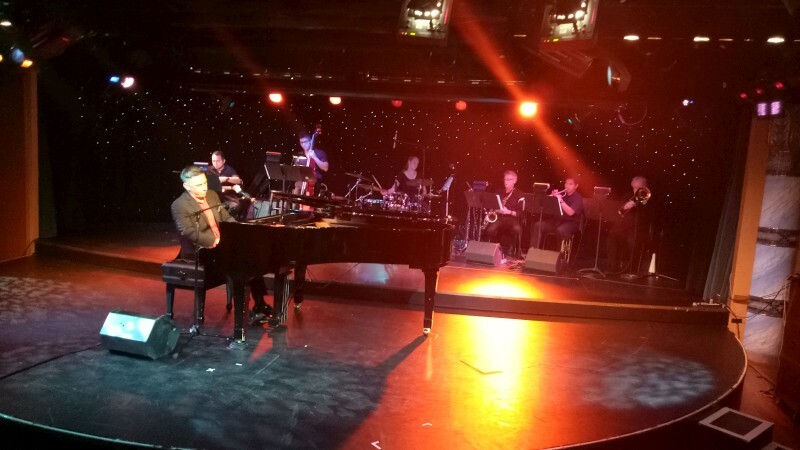 Pianist singer Chris May also mostly played the Crooners, but would appear later in the New Orleans show with the DP Orchestra. He tended more to jazz improvs and commonly sang. 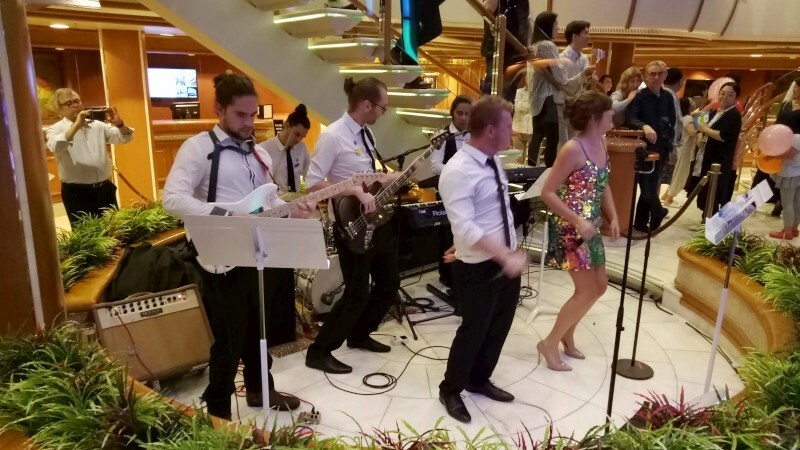 Numerous other appeared at bars, sometimes just in port or for one stage of the cruise. 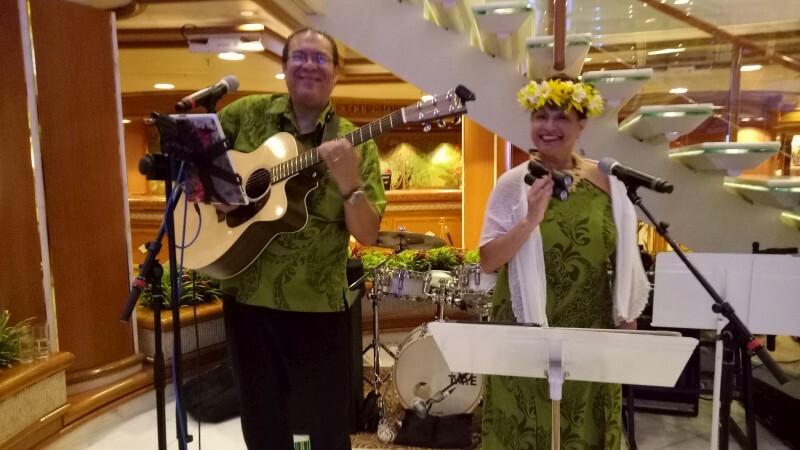 Tui and Maile Letuli were on unexpected choice, he playing Hawaiian guitar and singing, she sometimes singing or playing mandolin, but mostly dancing with lei and hula dress. Perhaps it was the Japan/Hawaii connection. And one I found amusing, like a throw back to long hair and screaming guitars (but quite well done none-the-less), the Italian Luca Cervo, playing rock hits on solo Strat (sometimes singing) with midi backing. One thing to note for the working musos, these guys have repertoire. The theme of rock continued in Korsakov, Russia; more on that later. There were others around the bars that I never heard: Maridor Duo was an enigma, and DJ Kiki unheard. CJ has been in recess as I went on a cruise with my mum. That's family but there's always some music to interest CJ. This was the Diamond Princess. The cruise was out of Tokyo/Yokohama to Busan (South Korea) to Yokohama to Korsakov (Russia) to Yokohama. 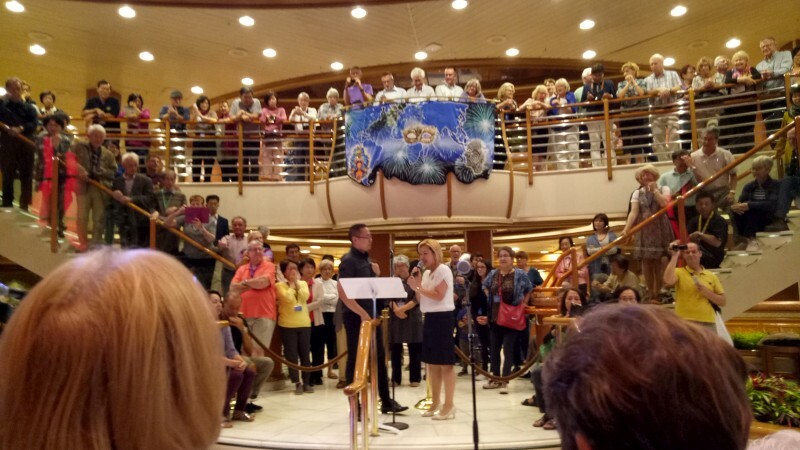 It's a cruise, so it's as more resort than travel although we do touch on places but most of the music is on board, in a bar or theatre or atrium. 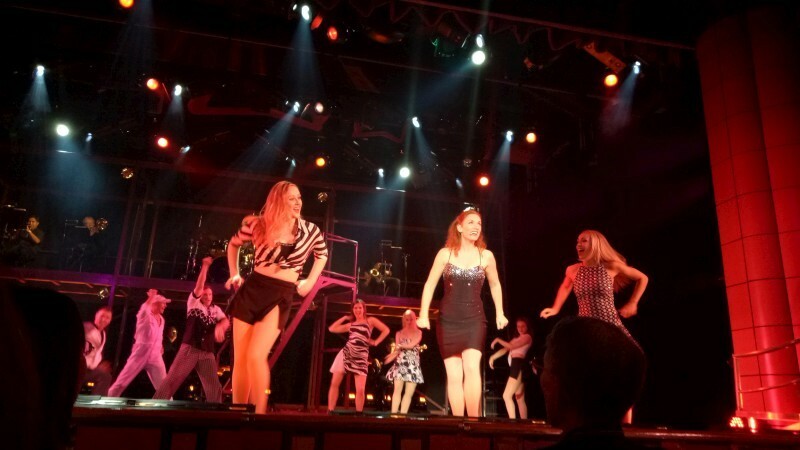 I always enjoy the theatre shows, mostly pop songs made into a little story, like a light Route 66 road movie. There was one aria-infested light operatic show, all long dresses and suits and even bow ties. Nothing deep, but all good and all superbly professional. I think of Ginger Rogers who did everything Fred did but backwards and in high heels. You'd have to add they all do on a rolling stage, although it was pretty calm for this trip. Eleven dancers (7 women, 4 men) and four singers and the DP Orchestra comprising piano, bass, guitar, drums, sax/flute, trumpet, trombone. They sometimes added two violins. 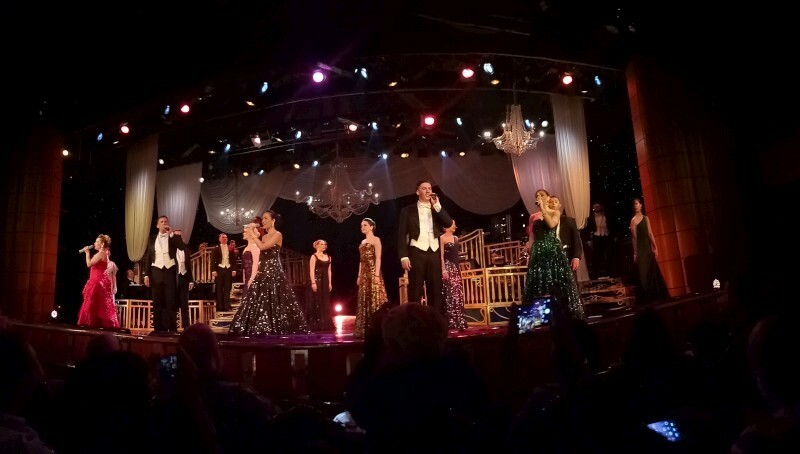 The operatic show really was really mostly modern with hits from the movies, not least a Bond medley, but featured memorables from Carmen and the inevitable Time to say goodbye. The other shows were strings of pop hits, nicely interleaved, not at all broken up or a string of numbers. This is well orchestrated, arranged and presented with some top gear. They use a digital mix, all timed and programmed. I had heard an opera soprano singing in another theatre and hated the uneven and cutting tones, but in the theatre, her sound was spot on. It just shows the value of a good sound person. These are professional players, chosen from large fields and working nightly. The musos take charts from visiting performers and play after a few hours rehearsal. Impressive. I particularly noticed the drummer, Molly, with a fabulous sense of underplay and apt fills, but they were all good. She'd only played onboard for 6 weeks. Suffice to say, I don't attend anything like this otherwise (perhaps musical theatre could come close) but I love it. Nothing deep and meaningful but great skills and catchy tunes. 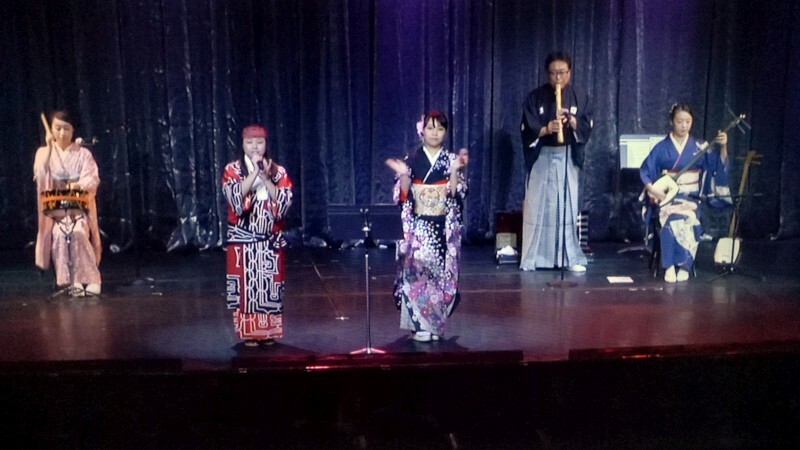 The Diamond Princess orchestra and dancers included Molly Jones (drums) and Jim Yamakawa (bass).